Päikese holiday house is located amidst picturesque and pure nature in Vilsandi National Park. It’s important for us that nature surrounding us is clean, sustainable, biologically diverse and that our heritage is preserved so that we and our successors can enjoy the environment that surrounds us and all the beauty it offers. We wish and hope that people who spend their holidays here feel as they are part of nature and that they take only positive emotions with them after their departure. In order to enjoy all the beauty in the future, it is important that in everyday life we also behave environmental responsible. We like to be environmentally aware when managing Päikese holiday house. In our everyday activities we value: using environmental friendly and ecologically pure products and materials; using and developing environmental friendly services; using local services and products; using natural resources in a sustainable way. 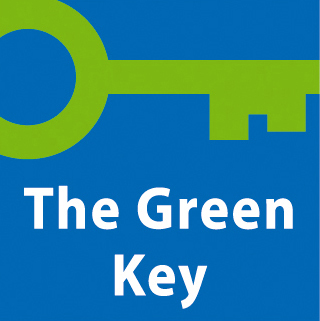 Holiday house has been awarded with certificate of international eco-label Green Key.